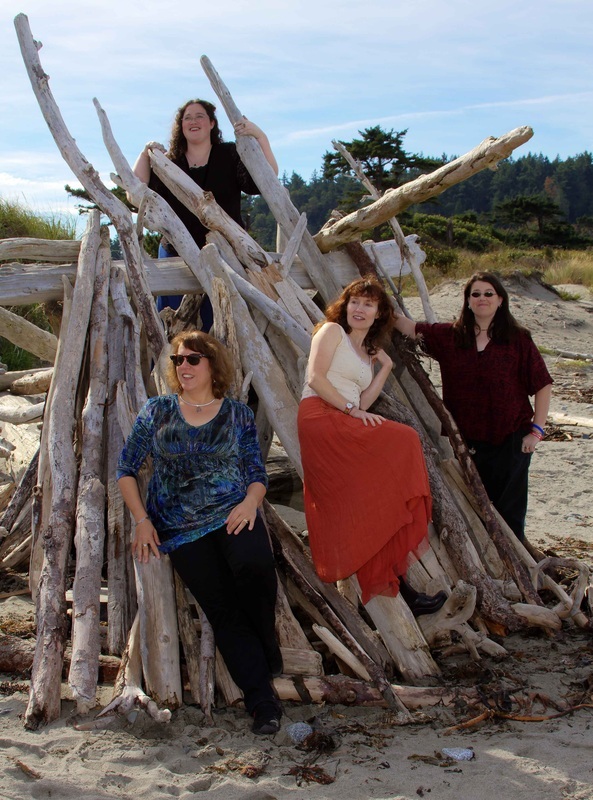 Lori Bellamy, Liz Savage, Helen Gilbert, Elaine Bradtke and Cat Fox were brought together through their love of ancient British and American traditional folk music. Joining forces as The Drunken Maidens they walk on the tipsy side of life with tight harmonies, good Scotch and dark tea. The Maidens have been working hard to build a repertoire of traditional folk songs and strong female harmonies with the intent to add original works and instrumental pieces over time. Their journey together has already been filled with adventure won't you join them for the ride?! "Loved The Drunken Maidens - talk about harmony!"